In our last of the longlist reveals for the BAPS Awards 2019, today we look at the Blogger Making a Difference. This category is for those who use their blog to actively campaign or to make a difference to a specific aspect of life. 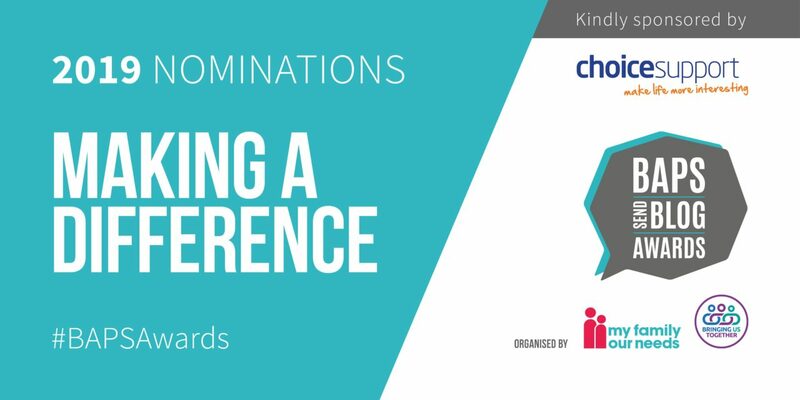 And so, last but by no means least, here are our nominees who are Making a Difference. What happens next? Well, the longlists are with our judges. They have the extremely tough job of shortlisting a final 4. The final 4 will then go to public vote which opens 18th February – so not long at all! Be sure to follow us on Facebook and Twitter to stay up to date with the announcements.